73 Radiotelegraph abbreviation for best regards. 88 Radiotelegraph abbreviation for love and kisses. ACI Adjacent Channel Interference When a receiver is tuned to a specific frequency and interference is received on a nearby frequency. AFC Automatic Frequency Control Automatically compensate frequency drift. AFSK Audio Frequency Shift Keying. AGC Automatic Gain Control Automatically optimize receiver amplifier gain. AGS Antenna Ground System the term is used for a RF potential for some types of antennas, most unbalanced or asymmetricial antennas need a good RF Ground. AM Abbreviation for amplitude modulation. AMTOR Acronym for "amateur teleprinting over radio" a mode that uses FSK to send messages containing error detection capabilities and the ability request retransmission of missing or corrupted data. ANARC Acronym for "Association of North American Radio Clubs" an association of radio listener clubs in the United States and Canada. APC Automatic Power Control Current limiting of a power amplifier to prevent damage to finals in high SWR conditions. APRS Automatic Position Reporting System - Packet Radio used in conjection with a GPS and TNC provide position reporting. ARES Amateur Radio Emergency Service. ARQ Abbreviation for automatic repeat request. In AMTOR, an ARQ is sent back to the transmitting station by the receiving station to request retransmission of missing or corrupted portions. ARQ One of two AMTOR communications modes in ARQ also called mode A in which two stations are constantly confirming each other's signals. ARRL Acronym for "American Radio Relay League" the national association for ham radio operators in the United States. ASCII Acronym for "American standard code for information interchange" a method of representing upper and lower letters in addition to numbers and special symbols. ASCII American National Standard Code for Information Interchange. ATT A network designed to reduce the amplitude of a signal. ATU Abbreviation for antenna tuning unit. Absorption The reduction in strength of a radio signal due to refraction in the ionosphere. Active Antenna A physically short or small antenna with a high gain preamplifier; designed for use indoors or in limited space areas. Active Filter A circuit that eliminates unwanted audio frequencies from the audio output of a receiver. Address The information in a packet specifying the intended receiving station. Aeronautical station A radio station aboard an airplane or a ground station that communicates with aircraft. Amplification The process of increasing the strength of a radio signal. Amplitude Modulation A modulation technique that varies the power output of a transmitter in accordance with the variations in the modulating audio signal. Antenna Ground System Term is used for a RF potential for some types of antennas. Most unbalanced or asymmetricial antennas need a good RF Ground. Antenna Impedance The impedance of an antenna at its resonance. Usually 50, 75 or 300 ohms. Antenna Matching When the antennas impedance at resonance is at optimum performance for your transmitter output circuit. Antenna Tuner A device used to match an antenna to the output impedance of a transmitter. Antenna tuning unit A device installed between a receiver or transmitter and the antenna to match the radio impedance to the antenna impedance for maximum power transfer. Attended Operation Operation of a radio station with a human operator at the control point. Attenuator A circuit to reduce the sensitivity of a receiver in fixed steps measured in decibels. Audio Rectification Interference to electronic devices caused by a strong RF field that is rectified and amplified in the device. Auroral Propagation Propagation of signals above 30 MHz via refraction by highly ionized regions around the Earth’s poles. Auto Patch Used in repeater operation for telephone interconnect. Automatic gain control A receiver circuit that adjust the amount of amplification given to a received signal so that the volume from the speaker stays relatively constant. Average Power Power measured on standard power meter. BCB Abbreviation for the AM broadcast band running from 540 to 1700 kHz. BCL Abbreviation for broadcast listener, someone who listens to shortwave radio strictly for program content. BFO Abbreviation for beat frequency oscillator. BNC Bayonet Neill-Concelman - A Type of antenna connector. Balanced Line Feed line with two conductors having Equal but Opposite voltages with neither conductor at ground potential. Balanced Modulator A mixer circuit used in Single-Sideband suppressed carrier transmitter to combine a voice signal and the RF carrier- oscillator signal. Balun A device used with to match an unbalanced feedline, like coaxial cable, to a balanced antenna, like a dipole. Balun A simple transformer used to change unbalanced Input to a balanced Output. Band Pass Filter A circuit that allows signals to go through it only if they are within a certain range of frequencies, and attenuates signals Above and Below this range. Band Plan An agreement for operating within a certain portain of the radio spectram. Band pass filter A filter that allows a certain range of frequencies to pass but which will reject frequencies below and above the desired range. Band plan A plan to allocate different frequencies within a range for specific purposes and users. Bandpass The frequency range that a receiver is currently tuning or that a filter permits to pass through it. Bandwidth Frequency needed for a particular mode of Transmission. Bandwidth The amount of frequency space occupied by a radio signal. Bank A storage area for channels in a scanner radio. Base loading Placing a loading coil at the base of an antenna in order to lower the antenna’s resonant frequency. Baud The rate at which data is transmitted measured in bits per second. Baudot A five-bit digital code used in teleprinter applications. Beacon A station making one-way transmissions for navigation, homing, and propagation indication purposes. Beam antenna An outdoor antenna, usually mounted on a rotor, that concentrates more transmitter power (or receives better) in a certain direction. Beat frequency oscillator A receiver circuit that generates a replacement carrier to enable intelligible reception of CW, FSK, and SSB signals. Birdie A false or spurious signal in a receiver inadvertently produced by the receiver’s circuitry. Bureau A clearinghouse for QSL cards sent to and received from ham operators in other countries. Burst Reception of a signal for a few seconds via meteor scatter. Busy Lockout Inhibits transmit on a Frequency. CBR Cross Band Repeater A repeater which will receive an incoming signal and re-transmit it in different bands. Receives 144 MHz band and re-transmits on 440 MHz Band. COAX / Coaxial Cable Feed line with a central conductor surrounded by plactic, foam, or gaseous insulation, which in turn is covered by a shielding conductor and the entire cable is then coversd with vinyl insulation. COIL A conductor wound into a series of loops. CQ A general call sent by a station to any other station that may receive it. Hams and other stations call CQ to indicate they will answer any station replies to their call. CQ A radio term used to call others. CTCSS Continuous Tone Coded Squelch System - Adds a continuous sub-audible low frequency tone to the transmitted carrier. Receivers that are set for the same low frequency tone can decode the signal. CW Abbreviation for continuous wave. CW Filter Used to narrow IF passband reception in crowded band conditions. Call Sign A sequence of letters and numbers used to identfy Amateur Radio Stations and issued by the FCC. Call sign A group of letters and numbers used to identify a station and the country authorizing its operation. Calling frequency An agreed-upon frequency where stations attempt to contact each other; once contact is made, stations move to a working frequency. Capacitor An electronic component composed of two or more conductive plates separated by an insulating material. Carrier An Unmodulated transmitted signal. Carrier The unmodulated output of a radio transmitter. Carrier Frequency Offset Carrier Shift Difference between mark and space frequency of the carrier for RTTY or similar mode. Center frequency The unmodulated carrier frequency of a FM transmitter. Center loading Placing a loading coil at the center of an antenna in order to lower the antenna’s resonant frequency. Channel The frequency on which a radio transmission takes place, or the input and output frequency pair used by a repeater station. Chief engineer The person at a broadcasting station responsible for proper and legal operation of a station and maintenance of all required records. Chirp Changes in the carrier frequency of a Morse code transmitter, usually due to power supply problems. Circular polarization An antenna design where polarization switches rapidly between horizontal and vertical. Closed repeater A repeater station that may be used only by stations belonging to a certain organization or group; access is usually restricted by tone access. Closing 1) When a station ends its operations and shuts down; 2) When a frequency can no longer support propagation to a desired station or location. Co-channel interference Interference from stations on frequencies adjacent to the desired signal. Coded access A method of restricting access to a repeater station to stations that begin their transmission with a special sequence of tones. Collision When two or more packet radio stations simultaneously attempt to transmit on the same frequency. Connected Term used to describe a successful contact between two packet radio stations and exchange of packets between them. Continuous wave The constant output of a radio transmitter that can be periodically interrupted to send messages by Morse code. Control operator The person responsible for all functions and correct operation of a radio station. Control point The physical location from which a radio station’s functions (setting frequency, turning the station off and on, etc.) are controlled. Conversion Number of IF Circuits in the Receiver. Coordinated universal time An international time and date system derived from the 0 degree meridian at Greenwich. Coordinator A non-governmental group that works to voluntarily assign frequencies to users in order to prevent interference, especially for repeater stations. Critical angle An angle defined in reference to the Earth at which a radio signal is refracted in the ionosphere. The lower the angle, the greater distance the radio signal will travel through ionospheric refraction. Critical frequency The frequency at or near the MUF at which the maximum sky wave propagation range is obtained. Crystal filter A filter that uses a network of piezoelectric crystals to obtain high rejection of unwanted signals. Cubical Quad Antenna A full wavelength loop antenna built with it's elements in the shape of Squares. Current A flow of electrons in an electric circuit. Cut numbers A system of sending numbers via Morse code by substituting shorter letter characters for the longer number characters. Cutoff frequency The frequency at which a filter will begin to reject signals. D-Region The LOWEST Region of the Ionosphere. DBd Unit of RF Power as compared to a Dipole Antenna. DBi Unit of RF Power as compared to an Isotropic Antenna. DBm Decibels measure, 1mW with a load impedance of 600 ohms 0 dBm=1mW. DC Ground A connection point directly to to chassis or battery ground to prevent buildup of hazardous DC Voltages. DSP Digital Signal Processor - used to improve noise to ratio for cleaner and more legible communications. DTCS Digital Tone Coded Squelch - A Selective call system. DTMF Dual Tone Multi Frequency ie: Touch Tone, Used for Transmit / Receive, numeric information such as Repeater Frequencies, phone number, PIN. DUALWATCH Receiving two signals simultaneously. DUMMY LOAD A Non-Radiating 50 ohm load connected to the Transmitter to replace the antenna for testing purposes. DX Any station that is hard to hear or contact on a particular frequency, or is rarely heard or contacted on a particular frequency. DX is the old telegraph abbreviation for distant. DXCC Abbreviation for "DX Century Club" an award given by the ARRL to hams who contact other hams in at least 100 different countries. DXpedition An organized effort by ham radio operators to put a rare location on the air, or a trip by shortwave listeners to a site for favorable DX reception. Dead zone A region where a radio signal cannot be received due to propagation difficulties. Decibel The ratio between two power levels on a logarithmic scale. A 3 decibel increase is a doubling of power; a 20 decibel increase is a power increase of 100 times. Decibel dB The smallest change in sound level that can be detected by the human ear, Power Gains and Losses are also expressed in decibels. Delta Loop Antenna A Full wavelength loop antenna built with it's elements in the shape of equilateral triangles. Deviation A measurement for FM signals for the maximum carrier frequency changes either side of the carrier frequency. Deviation The change in the carrier frequency of a FM transmitter produced by the modulating signal. Digipeater A packet radio station that receives and retransmits packets intended for other stations. Dipole An antenna one half-wavelength long at the desired operation frequency that is divided into two quarter-wavelength sections; it transmits and receives in a figure-8 pattern. Direct To communicate with another station without using a repeater. Direct wave A radio signal propagated via line of sight. Directional Antenna An antenna that concentrates more of the transmitted energy in a particular directions, a Beam. Director A parasitic element in Front of the Driven element in a multielement antenna. Distress Call SOS or MAYDAY - Signals a Life Threatening Situation. Downlink ~ Uplink A frequency that a Repeater or Satellite transmits on to a user. Drift Slow, gradual change in the frequency of a transmitter or receiver. Driven Element The element connected directly to the FEED line in a multi element antenna. Dummy load A device used in transmitter testing and adjustment that dissipates the transmitter’s energy without radiating it. Duplex To transmit on one frequency while listening for replies on another. Duplexer A device which divides Transmit and Receive signals. Duty Cycle The ratio between the actual RMS value of an RF signal and the RMS value of a continous signal having the same PEP value expressed as a percentage. A duty cycle of 100% corresponds to a continious carrier, such as a Test signal. Dynamic range How well a receiver can handle strong signals with overloading; any measure of over 100 decibels is considered excellent. E-Region The SECOND LOWEST ionospheric region. EME Abbreviation for "Earth-Moon-Earth" a method of communication on UHF frequencies by bouncing radio signals off the Moon. EME EARTH-MOON-EARTH ie. Moon Bounce communication. EMI Electro Magnetic Interference ofton called RFI Radio-Frequency Interference. ERP Abbreviation for effective radiated power. Effective radiated power The output of a transmitter multiplied by the gain of an antenna. Elmer An experienced ham radio operator who mentors new hams and prospective hams. Emission Transmission of a signal. Exalted carrier reception A reception technique where the carrier produced by a receiver’s BFO circuit or product detector is used to replace the carrier of an AM signal for better reception. Exchange The passing of all necessary information between two stations during a contact. Eyeball Slang for a face-to-face meeting between two ham radio operators or radio hobbyists. FEC Abbreviation for forward error correction, a FSK mode that transmits each character twice to avoid errors. If the first character is received correctly, the retransmission of it is ignored. FM Abbreviation for frequency modulation. FM Frequency Modulation or FM Brodcast. FSK Abbreviation for frequency shift keying. Fading Signal reduction due to atmospherics. Feedline The cable connecting a radio to an antenna. Filter A circuit designed to pass only the desired frequencies.  Filter A circuit or device that will allow certain frequencies to pass while rejecting others. Final The last transmission by a station during a contact, or the last amplifying stage of a radio transmitter. Fixed station A station that always operates from a constant, specified land location. Flutter The rapid variation in the signal strength of a station, usually due to propagation variations. Frequency Privileges The specific band segments assigned to holders of each particular license class. Frequency modulation A modulation technique that varies the carrier frequency of a transmitter in accordance with the variations in the strength of the modulating audio signal. Frequency shift keying A mode that shifts the station’s carrier between two fixed frequencies to form characters. Frequency synthesis A tuning method in transmitters and receivers which uses a few piezoelectric crystals to generate a wide range of frequencies. Front to Back Ratio The energy radiated from the front of a directive antenna divided by the energy radiated from the back of the antenna. Full Duplex An operation mode which Transmits and Receives on different frequencies at the same time as a telephone commuincation. Full quieting A FM radio signal strong enough to completely quiet the receiver background noise. GMT Abbreviation for Greenwich mean time. Gain An increase in the effective power radiated by an antenna in a certain desired direction, or an increase in Received signal strength from a certain direction. Gain The apparent increase in the strength of a signal radiated or received by an antenna caused by the antenna having better performance in some directions than others. Gallon Slang for the maximum transmitter power authorized for ham radio operators. Gateway A node that is a part of more than one network and can be used to pass messages between those networks. General coverage A term used to describe receivers and transmitters covering at least the frequency range of 500 kHz to 30 MHz and capable of operation in several different modes, including AM, CW, and SSB. Great circle route The shortest path by radio between any two points on Earth. Greenwich mean time An international time and date system derived from the 0 degree meridian at Greenwich; this has since been replaced by coordinated universal time. Ground A connection to a point of zero voltage, like the Earth. Ground Plane A type on Omni-directional Antenna. Ground Wave Electrical wave directly travelling from transmitter. Ground wave A radio wave propagated along the surface of the Earth. Grounding Electrical connection to earth. HF Abbreviation for high frequencies. HF High Frequency The 3-30 MHz range of the RF spectrum. HPF High Pass Filter A filter that allows signals above the cutoff frequency to pass through and attenuates signals below the cutoff frequency. Hamfest A large gathering of ham radio operators and other radio hobbyists. Handle A radio operator’s name. Harmonic A frequency that is an integer multiple (two times, three times, etc.) of a lower frequency. Harmonic Multiple of a fundamental frequency. Hertz One complete cycle of a radio wave per second. Heterodyne A high pitched whistle sound caused by two carriers interfering with each other. The pitch of the whistle depends on the frequency difference between the carriers. High frequencies Frequencies from 3 to 30 MHz, although often used to refer to all frequencies from 1.7 to 30 MHz. High pass filter A filter that rejects all frequencies below a certain point but which allows all higher frequencies to pass. Hollow state A slang term for equipment that uses vacuum tubes. Homebrew Slang term for home-built, noncommercial radio equipment. Horizontal polarization An antenna that radiates, or receives best, radio waves having their electric field parallel to the Earth’s surface. Hyperscan A very high scanning rate in a scanner receiver; also called turboscan. IF Shift A function that electronically shifts IF Frequency from a center frequency. IMD Distortion within RF Circuits made with upper and lower adjacent channel signals. IRC Abbreviation for International Reply Coupon. Image A false signal produced in the receiver’s circuitry. Impedance A term used to describe a combination of reactance and resistance in a circuit. Impedance The opposition to the flow of electric current and radio energy; it is measured in ohms (W). For best performance, the impedance of an antenna, the feedline, and the antenna connector on a radio should be approximately equal. Increment steps The discrete frequency steps (10 Hz, etc.) tuned by a receiver using frequency synthesis. Indirect FM A term used to refer to phase modulation. Inductor An electrical component usually composed of a coil of wire wound on a central core. An inductor stores energy in a magnetic field. Input frequency The frequency on which a repeater station listens for signals to retransmit. Intermod Short for intermodulation, this means false or spurious signals produced by two or more signals mixing in a receiver or repeater station. International Reply Coupon A coupon that can be purchased at post offices which can be exchanged in foreign countries for return postage for a surface mail letter to the country that issued the coupon. International Telecommunication Union ITU - The International organization with the responsibility for dividing the range of communications frequencies between the various services for the entire world. Ionosphere A region in the atosphere about 30 to 260 miles above the earth. The ionosphere is made up of charged particles, or ions. Ionosphere The electrically charged region of the Earth’s atmosphere located approximately 40 to 400 miles above the Earth’s surface that refracts radio signals. Ionospheric storm A disturbed condition in the ionosphere caused by release of charged particles by the Sun which results in high absorption and poor radio propagation on most frequencies. Junction Diode An electrical component formed by placing a layer of N-type semiconductor material next to a layer of P-type material. Diodes allow current to flow in only one direction. Junkbox Slang for the collection of spare parts and miscellaneous items kept by a radio operator or hobbyist. K-index A measure of the Earth’s magnetic field as measured at Boulder, Colorado. Propagation conditions improve with lower measurement numbers. Kerchunker An operator that activates a repeater station by transmitting on its input frequency without speaking. Kilohertz Unit equal to 1000 hertz. Kilowatt Unit equal to 1000 watts of transmitter power. LF Low Frequency 30-300 kHz range signals. LSB Abbreviation for lower sideband. LUF Abbreviation for lowest usable frequency, the lowest frequency that can support propagation between two points. Landline The telephone or a telephone call. Li-lon Rechargeable battery which has a better capacity than Ni-Cad, Ni-MH, and others, No memory effect after re-peated non-full charge/discharge cycles. Lid Slang for an incompetent, unskilled radio operator. Line of sight Communication between two radio stations that are in visual sight (even if telescopically) with each other. Lockout To remove certain channels from the scanning sequence of a scanner. Longwave Radio signals 300 kHz and lower in frequency, although this term is often used to mean any radio signal lower than 540 kHz. Loop antenna A physically small receiving antenna usually designed for indoor use and tuning frequencies below 5 MHz; it receives in a figure-8 pattern. Low pass filter A filter that rejects all frequencies above a certain point but which allows all lower frequencies to pass. Lower sideband The sideband lower in frequency than the transmitter’s carrier. MCW Abbreviation for modulated CW. MHz Abbreviation for megaHertz (1,000,000 Hz). In older publications it may show as Mc for megacycle or 1,000,000 cycles per second. MUF Abbreviation for maximum usable frequency, the highest frequency that can support propagation between two points. MUF Maximum Usable Frequency. The highest frequency that allows a radio wave to reach a desired destination. Machine Slang for a repeater station. Main Lobe The direction of maximum radiated field strength from an antenna, also called Major Lobe. Major lobe The direction of maximum radiation or received signal strength for a directional antenna. Maritime station A two-way radio unit aboard a ship or a station on land that communicates with ships. Mark frequency In FSK, the higher of the two frequencies used. Mechanical filter A filter that uses a network of mechanical piezoelectric elements to obtain high rejection of unwanted signals. Medium wave Radio signals from 300 to 3000 kHz, although this term is often used to mean any radio signal in the AM broadcast band (540 to 1700 kHz). Megahertz Unit equal to 1,000,000 hertz or 1000 kilohertz. Megawatt Unit equal to 1,000,000 watts of transmitter power. Memory Bank A set of memory channels organized into a group. Memory Effect Rechargeable batteries such as Ni-cad and Ni-MH types that may be getting capacity as a result of repeated non-full charge/dis-charge cycles. Meteor scatter Propagation of signals on frequencies above 25 MHz via ionized trails left by meteors burning up in the ionosphere. Mobile station A two-way radio unit installed in a car, boat, plane, etc., and used while in motion or at various stops. Modulated CW Sending Morse code over an AM transmitter using an audio tone. Modulation The process of altering the output carrier of a transmitter in some way in order to convey information. Modulation The process of varying some characteristic Amplitude, Frequency or phase of an RF Carrier for the purpose on conveying information. Monoband antenna An antenna suitable for operation on just one band of frequencies. Moonbounce Slang term for EME communication. Multiband antenna An antenna suitable for operation on several different bands of frequencies. Multihop A radio signal refracted more than one time between the transmitting and receiving stations. NB Noise Blanker, a function that reduces pulse type noise. NR Noise Reduction, DSP feature that reduces unwanted signal noise. Negative Feedback The process in which a portion of the amplifier Output is returned to the Input, 180 degrees out of phase with the Input signal. Net A group of people who meet at regular times on a specific frequency to share common interests. Net A group of stations that meet on a specified frequency at a certain time. The net is organized and directed by a net control station, who calls the net to order, recognizes stations entering and leaving the net, and authorizes stations to transmit. Noise Bridge A test instrument used to determine the impedance of an antenna system. Noise blanker A receiver circuit that reduces electrical noise by quieting the receiver during noise pulses. Notch filter A circuit that takes a small slice out of the bandpass tuned by a receiver; this is useful for reducing interference from narrow bandwidth signals. OM Abbreviation for old man, an old radiotelegraph abbreviation for any radio operator (presumed to be male); now used to refer to any male radio operator or announcer. Offset Frequency Frequency difference between Transmit and Receive. Ohm The basic unit of Resistance, Reactance, and Inpedance. Ohm's Law A basic law of electronics, it gives a relationship between Voltage, Resistance and Current: E=IR. Omnidirectional antenna An antenna that transmits and receives equally well in all directions. Open repeater A repeater station that can be used by anybody; a carrier on its input frequency will automatically be retransmitted on its output frequency. Opening When propagation is possible between two stations on the same frequency. Oscilloscope An electric test instrument used to observe wave forms and voltages on a cathode-ray tube. Out Spoken at the end of a transmission to indicate that you have made your last transmission and that you expect no response. Output frequency The frequency on which a repeater station will retransmit signals its hears on its input frequency. Over Spoken at the end of a transmission to indicate to the other station that it is their turn to transmit. Overloading When strong signals in a frequency range interfere with proper operation of a receiver, creating false ghost signals on various frequencies in the frequency range. PA Power Amplifier or Public Address System. PBT Pass Band Tuning A function that electronically reduces interferance by narrowing IF bandwidth. PEP Peak Envelope Power, RF power at Maximum amplitude. PLL Phase Locked Loop, a circuit to synthesize the different frequencies a radio will operate on. PLL abbreviation for phase locked loop. PM Abbreviation for phase modulation. Parasitics Oscillations in a transmitter on frequencies other than the desired one; these can produce spurious signals from the transmitter. Part 15 The section of the FCC’s rules that permits operation of low power transmitting devices without a license. Pass The period during which signals from an orbiting satellite can be heard at a ground location. Passband tuning A receiver circuit that permits adjusting the bandpass for best reception under different interference conditions. Patch A connection between a two-way radio unit and the public telephone system. Path The route taken by a signal from the transmitting station to the receiving station. Phase locked loop a circuit that can generate w wide range of frequencies in discrete steps such as 10 Hz. Phase modulation Similar to FM, this modulation technique varies the carrier frequency of a transmitter in accordance with the strength and frequency of the modulating signal. Phonetic alphabet A standard set of words used to represent letters of the alphabet. Picket fencing A fluttering sound heard on a FM signal from a station on a moving vehicle, such as an automobile. Ping Brief reception of a radio signal via meteor scatter propagation. Polarization Whether an antenna transmits or receives maximum radio energy in the horizontal or vertical plane. Power Supply A device that is used to convert the available voltage and currant source often 120V AC to a form that is required for a specific circuit requirement such as 12 Volt DC. Preamp A receiving circuit that gives extra amplification to weak signals but at the cost of additional background noise and possible distortion. Preselector A circuit that tunes a receiver’s signal amplifying circuitry for maximum sensitivity on a desired frequency range. Priority Watch A reception mode that when selected for a frequency is always periodcally checked when the VFO is set to a different frequency. Priority channel A channel a scanner will immediately switch to when a signal is present. Product detector A receiver circuit consisting of a beat frequency oscillator and additional circuitry for enhanced reception of SSB signals. Propagation The means by which radio waves travel from one place to another. Propagation The process of how a radio signal travels from a transmitting station to a receiving station. Pulse modulation A modulation method in which the timing, amplitude, and/or spacing of pulses of a transmitter’s carrier are varied in order to convey information. QRL Radiotelegraph abbreviation meaning -this frequency is busy. QRM Radiotelegraph abbreviation meaning -interference. QRN Radiotelegraph abbreviation meaning -static. QRO Radiotelegraph abbreviation meaning -increase transmitter power. QRP Radiotelegraph abbreviation meaning -reduce transmitter power. QRS Radiotelegraph abbreviation meaning -send more slowly. QRT Radiotelegraph abbreviation meaning -stop transmitting. QRU Radiotelegraph abbreviation meaning -I have no messages for you. QRV Radiotelegraph abbreviation meaning -I am ready to communicate. QRX Radiotelegraph abbreviation meaning -wait. QRZ Radiotelegraph abbreviation meaning -who is calling me? It is also used to solicit the next contact in a series of contacts. QSL Radiotelegraph abbreviation for -I confirm, it refers to a card or letter confirming that a contact did take place between two stations or that a listener did indeed hear a certain station. QSO Radiotelegraph abbreviation for a contact between two or more stations. QST Radiotelegraph abbreviation for a transmission directed to all ham radio operators, it is also the name of the ARRL’s monthly magazine. QSY Radiotelegraph abbreviation for change frequency. QTH Radiotelegraph abbreviation for a station’s location. Quad A directional antenna consisting of two one-wavelength squares of wire placed a quarter-wavelength apart. RACES Radio Amateur Civil Emergency Service, the Part of the Amateur service that provides radio communications only for civil defense purposes. RF Ground Connection for Amateur radio equipment to earth ground to reduce RFI. RF gain A control used to continuously vary the sensitivity of a receiver. RIT Abbreviation for receiver incremental tuning. RIT Receiver Incremental Tuning - Fine tuning the receive frequency without changing the displayed memory frequency. RST A code used by ham radio operators to indicate a station’s readability, signal strength, and tone of its Morse code signals. Radioteletype A mode that uses FSK to form letters, numbers, and special characters for display on a printer or video monitor. Ragchew Slang for an informal conversation via radio. Random Length Wire Antenna A multi band antenna consisting of any convenient length of wire, connected directly to a Transmitter or impedance matching network without the use of feed line. Reactance The opposition to currant that a capacitor or inductor creates in an AC circuit. Real time Communications that are taking place with no perceptible delay. Receiver incremental tuning A circuit that allows tuning between increment steps in a receiver using frequency synthesis. Reception report A letter written to a radio station supplying details about a station’s signal and the programming heard in order to solicit a QSL from the station. Rectifier An electronic component that allows current to pass through it in only one direction. Reflected Power Non-radiated power dissipated as heat when the Transmitter is mis-matched to the Antenna or Load. Reflector A parasitic element placed behind the driven element in a directive antenna. Repeater A radio station that receives stations on a certain frequency and simultaneously retransmits them on another frequency. Repeater Radio Systems which receive incoming signals and retransmit them for extended communication coverage. Resonant frequency The frequency at which an antenna radiates or receives with maximum efficiency. Rig The main items of equipment used at a radio station. Rubber ducky Slang for a shortened flexible antenna used with hand-held scanners and transceivers. S-meter A meter or bargraph that indicates the relative strength of a received signal. SHF Abbreviation for super high frequencies. SINPO A code used in reception reports to rate the signal strength, interference, propagation conditions, atmospheric noise, and overall quality of reception on a scale from 1 (lowest) to 5 (highest). SSB Abbreviation for single sideband. SWL Abbreviation for shortwave listener. SWLing Abbreviation for shortwave listening. SWR Abbreviation for standing wave ratio. SWR Measurement of Forward vs Reflected power output during Transmit. Scan Continually sweeping frequencies looking for signals. Scan Edge End and Start frequencies for a scanning range. Scanner A radio receiver which automatically tunes through a sequence of user-selected frequencies. Scatter Propagation via random scattering of a signal directly off the ionosphere overhead; scatter signals are usually weak. Scratch Pad Memory Temporary frequency memories for Quick reference. Search A feature in certain receivers that will scan a frequency range at certain increments (such as 1 or 5 kHz) and pause on any frequency where a signal is present. Selectivity How well a receiver can reject signals on frequencies adjacent to the one you want to tune. It is indicated by a number of decibels rejection at a frequency point away from the desired signal. Semi Duplex A mode in which transmit and receive are on different frequencies. Sensitivity How well a receiver responds to weak signals, measured in microvolts (mV); the lower the number of microvolts indicated, the more sensitive the receiver. Sensitivity Indicates how weak a signal can be and still be detected by the Receiver. Shack The room or other location where a radio station is operated from. Shape factor A receiver’s selectivity measured at the 6 and 60 decibel rejection points. Short skip Propagation via the ionosphere over a distance of a few hundred miles or less. Shortwave Frequencies in the high frequencies region of 3 to 30 MHz, but this term is often used to refer to frequencies from 1.7 to 30 MHz. Sideband A signal equal to the bandwidth of the modulating frequency found above and below the carrier frequency in an AM signal. Sidewinder Slang for a SSB station. Simplex An operation mode where the Transmit and Receive are on the same frequency. Simplex To transmit and receive on the same frequency. Single sideband A modulation technique that suppresses one sideband and the carrier and transmits only the remaining sideband. Skip Any type of sky wave propagation via ionospheric refraction. Skip zone An area where a station being propagated via skywave cannot be heard because it is skipping off the ionosphere overhead. Sky wave Radio signals propagated by refraction in the ionosphere. Skyhook Slang for an antenna. Skywarn Trained volunteer storm spotters for the National Weather Service. Solid state A circuit that uses no vacuum tubes---only transistors, integrated circuits, etc. Solor Flux Index A measure of solor activity. "The Solor Flux" is a measure of the Radio Noise on 2800MHz. Space frequency In FSK, the lower of the two frequencies used. Speech Processor A device used to increase the average power contained in a speech waveforum. Speech processing A circuit that increases the average level of the modulating signal applied to a transmitter. Splatter Interference to adjacent signals caused by overmodulation of a transmitter. Split A mode in which the Transmit and Receive are on a different frequency. Split channel A frequency located between standard frequency allocations, such as the 10 kHz spacing of AM broadcast band frequencies or coordinated repeater frequencies. Sporadic-E Random patches of intense ionization that form in the E-layer of the ionosphere and refract higher frequency signals that normally cannot be refracted by the ionosphere. Spread spectrum A modulation method that spreads transmitter energy across a relatively wide frequency range according to a modulating code. Spurs Undesired signals and frequencies in the output of a transmitter. Squelch A circuit in a radio receiver that quiets the receiver until the strength of a received signal exceeds a specified level. Squelch tail A brief bit of noise heard between the end of a radio transmission and the reactivation of the receiver’s squelch circuit. Standing wave ratio The ratio of power sent down a feedline from the transmitter to the power reflected back through the feedline to the transmitter. A ratio of 1:1 is ideal; anything higher than 2:1 usually indicates a problem in the feedline or antenna. Store and forward A system for the receipt, storage, and later retransmission of packet radio messages. Super high frequencies the frequency range above 3000 MHz. Surface wave Another term for a ground wave. Synchronous detection Similar to exalted carrier reception, but the replacement carrier tuning and tracking is done automatically by the receiver. TCXO Temperature Compensated Crystal Oscillator - Heated crystal oscillator for better frequency stability. TNC Abbreviation for terminal node controller. TNC Terminal Node Controller - Modem for data communication or A type of antenna connector. TR Switch Transmit/Receive - A mechanical switch relay or electronic circuit used to switch and antenna between a receiver and transmitter. Telemetry One-way radio transmissions used for tracking and measurement data. Terminal node controller A device used to convert digital signals from a PC into an analog form that can be transmitted by radio and to convert received analog signals into digital form for display on the PC’s monitor. Ticket The license or other operating credential for a radio station and its operator(s). Time-out To transmit too long in a single transmission, causing a repeater’s timer circuit to stop further transmissions. Tone access A method of activating a repeater station that requires transmission of a brief tone before all transmissions to be relayed. Top loading Placing a loading coil at the top of an antenna in order to lower the antenna’s resonant frequency. Traffic Messages to and from third parties exchanged by radio stations. Transceiver A combined transmitter and receiver sharing a common housing and many of the same components. Translator A device that receives multiple signals within a certain frequency range and simultaneously retransmits them in another frequency range. Transponder A device that will emit a radio signal when it receives a radio signal on a certain frequency. Trap dipole A dipole antenna with several coils, or traps, that allow the antenna to be used on several bands. Tropo Term referring to tropospheric ducting. Tropospheric ducting Propagation of signals above 30 MHz via bending and ducting along weather fronts in the lowest layer of the Earth’s atmosphere, the troposphere. Trunking A method of switching incoming signals between different repeater stations to prevent interference and ensure access to a repeater. Turboscan A very high scanning rate in a scanner receiver; also called hyperscan. UHF Abbreviation for ultra high frequencies. UHF low The frequency range from 450 to 470 MHz. UHF-T The frequency range from 470 to 512 MHz. USB Abbreviation for upper sideband. UTC Abbreviation for coordinated universal time. Ultra high frequencies The frequency range from 300 to 3000 MHz. Unattended operation Operation of a radio station without a human operator at the control point. Unbalanced Line Feed line with one conductor at ground potential, such as Coaxial cable. Uncoordinated repeater A repeater station operating on frequencies not approved by the appropriate frequency coordinator. Unity gain An antenna that gives no gain or loss; its effective radiated power is equal to the transmitter power applied to it. Upper sideband The sideband higher in frequency than the transmitter’s carrier. VEC Abbreviation for volunteer exam coordinator, a group of hams who give license exams to prospective hams under authorization from the FCC. VFO Abbreviation for variable frequency oscillator. VFO Variable Frequency Oscillator - An operation mode in which an operator can change frequency freely. VHF Abbreviation for very high frequencies. VHF high band The frequency range from 150 to 175 MHz. VHF low band The frequency range from 30 to 50 MHz. VOX A circuit that can turn a transmitter on and off automatically whenever someone speaks into the microphone. VSC Voice Scan Control or Voice Squelch COntrol. Variable frequency oscillator A circuit used to set the frequency of a receiver or transmitter. Vertical polarization An antenna that radiates, or receives best, radio waves having their electric field perpendicular to the Earth’s surface. Vertically Polarized Wave A radio wave that has its electric lines of force perpendicular to the surface of the earth. Very high frequencies The frequency range from 30 to 300 MHz. WAS Abbreviation for Worked All States, an award given by the ARRL to hams who contact other hams in all 50 states. WAZ Abbreviation for Worked All Zones, an award given by CQ Magazine to hams who contact other hams in 40 different geographic zones dividing up the globe. Wallpaper QSL cards, certificates, and other items decorating the walls of a radio station. Wavelength The distance between the same points on two consecutive radio waves. Weather Alert NOAA broadcast station transmitting alert signals. Window A frequency range set aside for foreign ham radio stations to transmit in while ham stations in the United States and Canada do not; American and Canadian stations call foreign stations on frequencies outside the window. Work To communicate with another radio station or stations. Working frequency A frequency that two or more stations can use to communicate with each other. XYL Radiotelegraph code for ex-young lady, used to refer to the wife of a radio operator. YL Radiotelegraph abbreviation for young lady, used to refer to a female radio operator or announcer. Zero beat When the frequencies of two carriers are identical and there is no heterodyne heard between them.